Fleet Managers and those responsible for fleets looking to save money on their company vehicle fleet may be interested in this story. 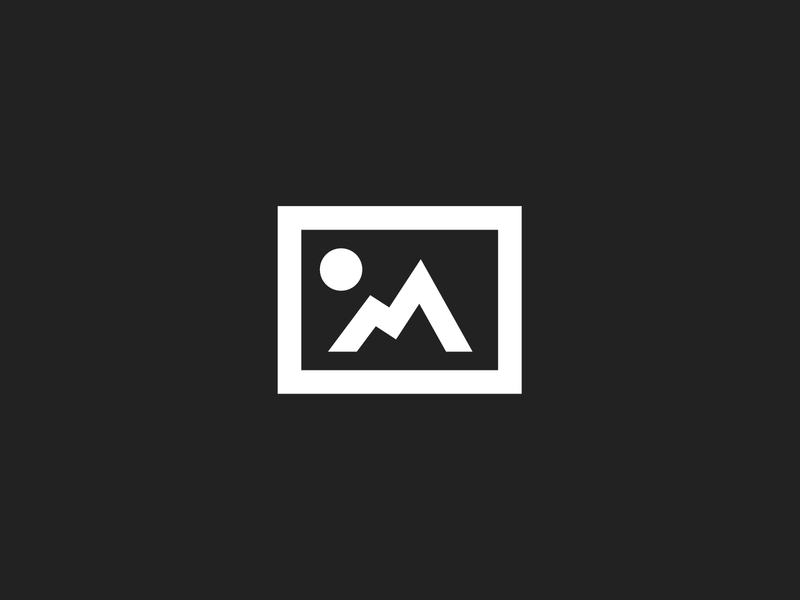 Here’s how we saved a company nearly £4000 on one repair – and how we could help you. It all started when a customer had problems with their engine. Back to the warranty holder it went. The client was surprised when the claim was refused as the car was deemed to be not under warranty any more. They were even more surprised when they were asked to pay £3777.35 for a replacement of the entire gearbox, drive train, clutch assembly and transmission. Understandably, the client wasn’t too keen on paying out nearly £4000 on their vehicle. They called us in, and we started negotiations with the warranty holder. Frequent phone calls and emails went back and forth. Thankfully, the end result was that the replacement was covered by the warranty, the work was carried out and the customer didn’t have to pay the money. A good result all round. Negotiating warranty claims with manufacturers isn’t the only way we can save fleet managers money and time. For just £5 (+VAT) per vehicle per month, Run Your Fleet membership gives you RAC breakdown cover and accident management services, cashflow friendly payment terms and innovative, easy to use management tools that allow you to keep your business compliant. Run Your Fleet also gives you access to savings on tyres, vehicle servicing and windscreens that are normally reserved for those running fleets with hundreds of cars. Here’s the other savings that a Fleet Manager could make on a Ford Mondeo. 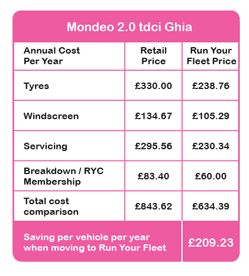 The savings are based on a typical fleet vehicle requiring one service per year, two tyres and one third of a windscreen (on average a fleet vehicle will require a new windscreen every three years). The comparison is based on a like for like service at the same franchise dealer, Pirelli tyres from Kwik Fit, breakdown cover from the AA and windscreens sourced from Auto Windscreens. All savings are correct as at 1st June 2011. Tags:Accident Management, Company Vehicle Fleet, Fleet Managers and those responsible for fleets, Ford Mondeo, Negotiating warranty claims, RAC breakdown cover, Saving money on a Ford Mondeo repair, Saving money on gearboxes, Savings for fleets and fleet managers. 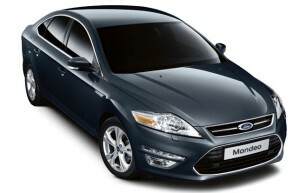 save fleet managers money, Savings on tyres, savings that a Fleet Manager could make on a Ford Mondeo. The advantages of using a Fleet Management Service. The Skoda Superb – A good choice for company car fleets?